We often think that celebrities lead the perfect lives, what with their fame and fortune and having everything money can buy. There are, however, some things money can’t buy, as many celebs – just like us ordinary people – are forced to turn to surrogacy to have a child. While there are any number of reasons for not being able to conceive naturally, they’re all united by one common thing – the burning desire to become parents. 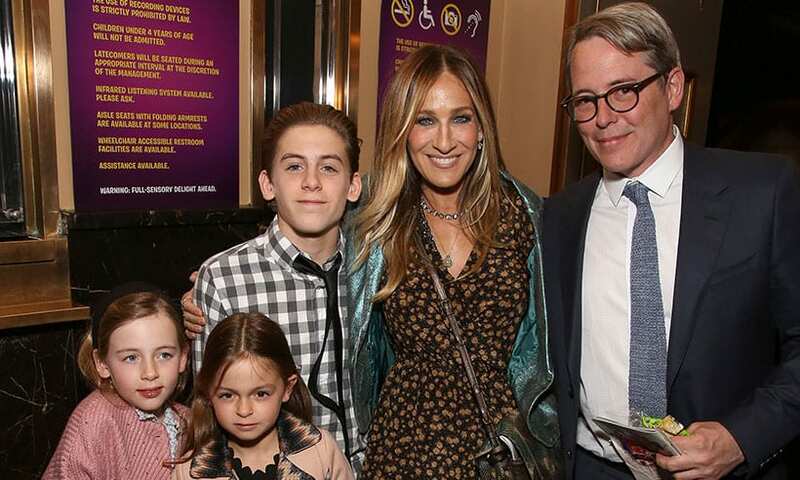 We know and love her as Carrie Bradshaw, but Sarah Jessica Parker is really so much more than that in real life. Her and her longtime love Matthew Broderick welcomed (naturally) their son James Wilkie in 2002, but decided to use a surrogate when they wanted more children. They welcomed twins Marion and Tabitha in 2009. Unfortunately, while their surrogate was pregnant, her identity was leaked to the public, leading to a great deal of emotional turmoil for the pair and the other woman involved. Kim Kardashian and Kanye West are very open about showing their life through reality television. But when it came to baby number three, they were much more secretive initially. Kim had very difficult pregnancies with her two older children, North and Saint. Things were so tough that when it came to having baby number three, doctors advised her that she should not carry her own child as it would risk her life. 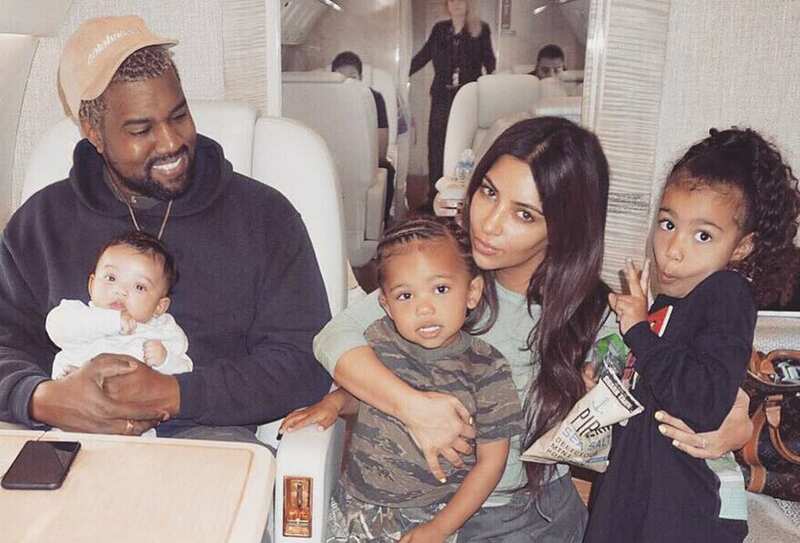 Kim and Kanye used a gestational surrogate to carry little Chicago to term. Actress Lucy Liu, known for her roles in Kill Bill and Charlie’s Angels, welcomed her son Rockwell Lloyd in 2015. Rockwell was born via surrogate to her and her alone. She decided to start a family as a single woman. Lucy received quite a bit of backlash for her decision to bring a child into the world alone, to which she replied that she did not hear the gossip at the time and it was essentially no one else’s business. Elizabeth and her longtime husband, Max, decided to go the surrogate route for both of their children. In 2011, the couple welcomed their son Felix into the world, and in 2012 they welcomed another son, named Magnus. Elizabeth has been open about how surrogacy has changed her life and taught her about the generosity of others and the gratitude she could feel. Elizabeth is known for directing and starring in the Pitch Perfect films, as well as the Hunger Games trilogy. 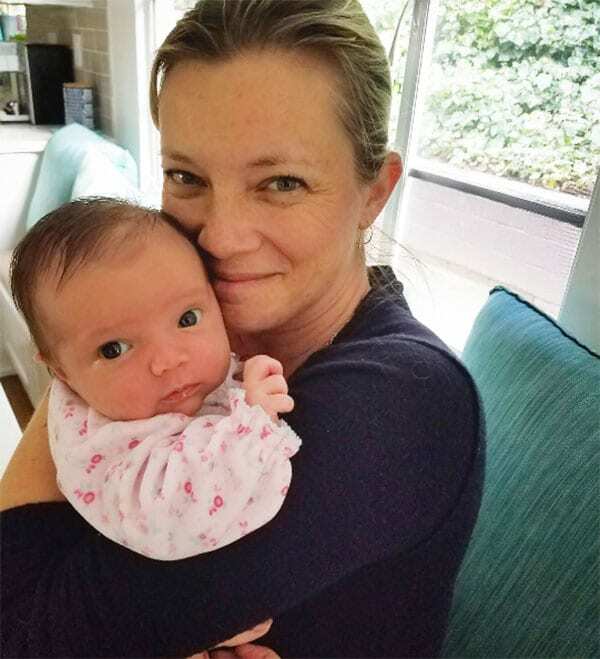 Grey’s Anatomy star Ellen Pompeo and her husband Chris Ivery welcomed their daughter, Stella, in 2009. Stella was carried and delivered by Ellen. It was with their second child, daughter Sienna, in 2014 that they opted for a surrogate. In 2016, they welcomed their son, Eli, but they neither confirmed nor denied using a surrogate with him. Regarding the topic of surrogacy, Ellen said that she found it incredible that a woman would use her body to give them such a gift as a family. Neil Patrick Harris is known as the legendary ladies’ man, Barnie Stinson, in the long-running series How I Met Your Mother. In real life, he’s actually in a loving and committed relationship. Neil and his husband, David, finally decided that it was time to expand their family and welcomed their twins, Gideon and Harper, via surrogate in 2010. They do not know which twin is whose as they both entered samples, but they prefer it that way as to them it does not matter. Angela Bassett is known for her roles in American Horror Story and Black Panther, to name a few. She and her husband, Courtney, married in 1997 and tried starting a family on their own. After years without success, they chose surrogacy and welcomed their twins, Slater and Bronwyn, in 2006. We all know and love Katey Sagal from her role as Peggy Bundy in Married with Children, but her role on Sons of Anarchy changed her life. In 2014, she married the show’s creator, Kurt Sutter. Katey has four children from previous relationships, but Kurt didn’t have any children and he wanted to be a father. In 2007 the couple welcomed their first child together, Esme, via gestational surrogacy. They both call Esme their little miracle. Amy is good at playing the classic girl next door or the horror victim. She’s known for her role in Just Friends, Mirrors, and The Butterfly Effect. Her husband, Carter, is a carpenter on an HGTV show. 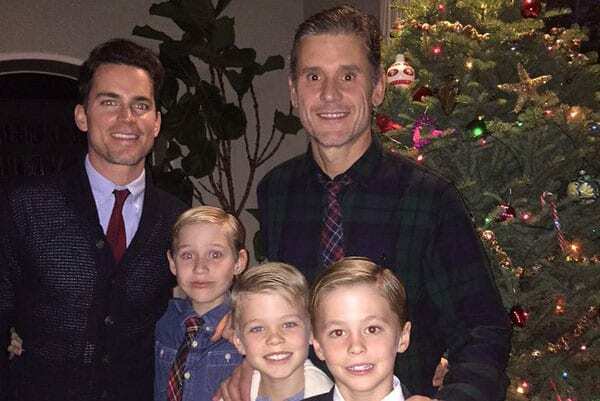 White Collar star Matt Bomer and his husband, publicist Simon Halls, have three beautiful children together. 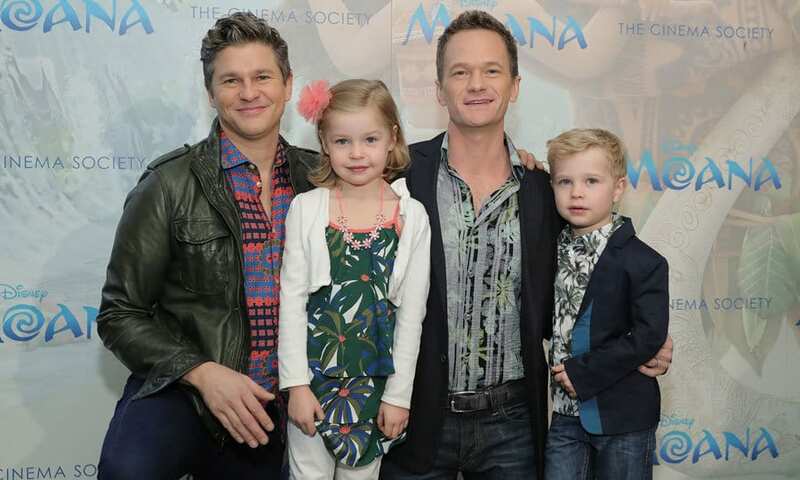 The couple opted for surrogacy for all three of their kids, welcoming Kit in 2005, and twins Henry and Walker in 2008. The family can be seen walking event carpets together and having fun around town – their backyard being New York City. While it’s unclear if all of the kiddos are biologically Hall’s, they do share his last name. In 2012, Duke Rancic was born via gestational surrogate. The world saw this incredible story have a happy ending on Bill and Giuliana’s reality show. We also saw the road the couple took while trying to conceive naturally, only to be disappointed time and time again. Things came to a halt when the couple tragically discovered that Giuliana had cancer, therefore she wouldn’t be able to go through natural childbirth. Duke was their miracle baby and the only biological one they have after other attempts afterward unfortunately failed. 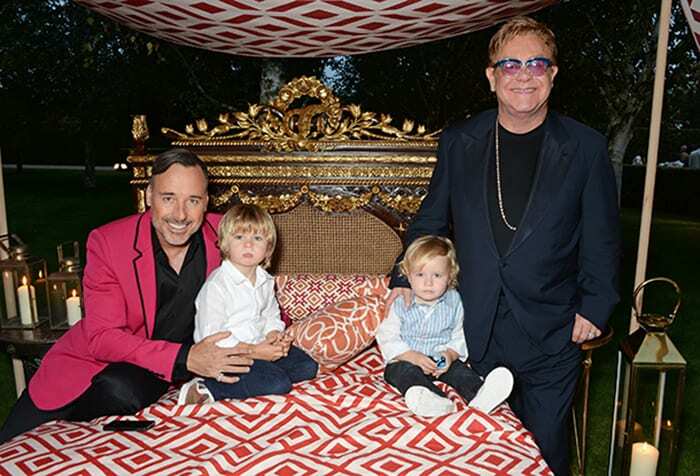 Elton and David married in 2014, not to the surprise of anyone since they had been a couple since 1993 – they had just been waiting for their marriage to be legal in the UK. The couple decided to expand their family years before they legally tied the knot. In 2010, they welcomed son Zachary Jackson Levon Furnish-John via surrogate, and in 2013 they welcomed Elijah Joseph Daniel Furnish-John. They are now an adorable family of four and are always spotted at the poshest of spots. The Fast and the Furious actress and her husband, producer Andrew Form, met while he was producing and she was starring in The Texas Chainsaw Massacre: The Beginning. 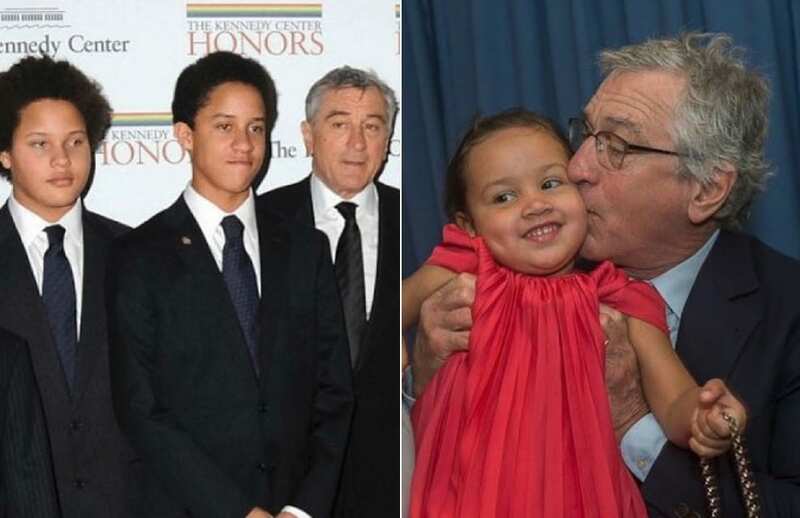 They were married in 2007 and welcomed their first child, son Julian, in 2013. Julian was carried to term by Jordana, and not by surrogacy. It was the couple’s second child, son Rowan, who was born in 2016. Rowan was carried and delivered by a gestational surrogate. Ricky Martin is the world-famous musician best known for his song Livin’ La Vida Loca. The artist became a father, and a single father at that, in 2008 when he welcomed his twins, Matteo and Valentino, via surrogate. The boys are biologically his, with the gestational surrogate also contributing her egg in the process. 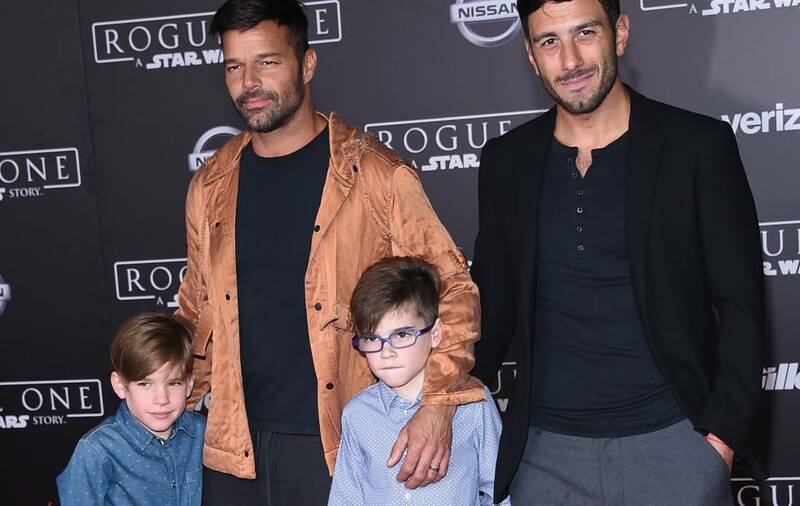 Ricky is now married to painter and artist Jwan Yosef after getting hitched in 2017. The family of four is always together and is seen walking red carpets and traveling around the world together. 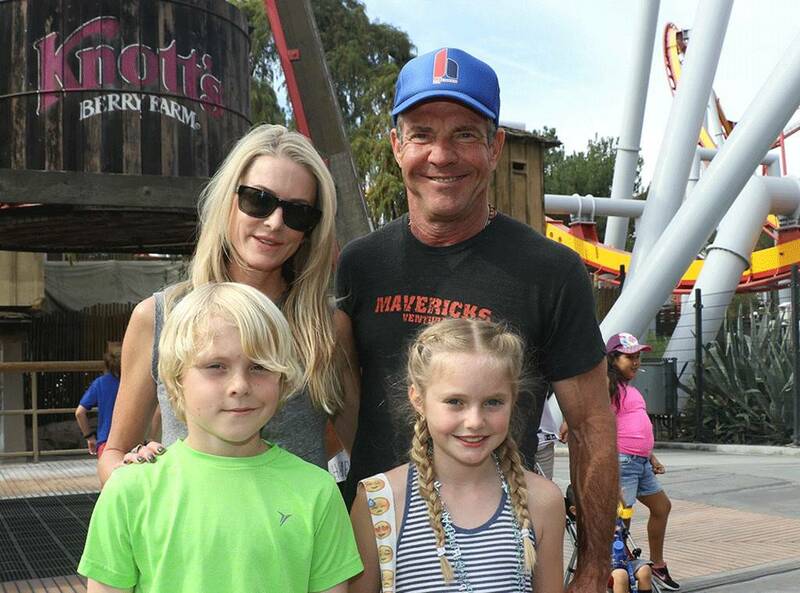 Iconic actor Dennis Quaid has been married more than once. The first marriage was to actress Meg Ryan, with whom he had one son. It is his second marriage to real estate agent Kimberly that he was introduced to the world of surrogacy. 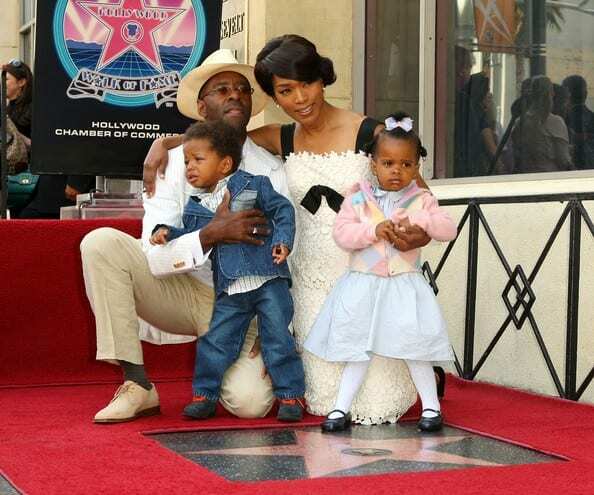 In 2007, the couple welcomed Thomas Boone and Zoe Grace into their family fold. In a dramatic twist, the twins nearly died when the hospital gave the infants an overdose of Heparin, a blood thinner, by mistake. The twins recovered but, needless to say, Dennis sued. Soccer superstar Cristiano Ronaldo is proud of more than just his success in sports; the Portuguese athlete is also a proud father of four. While Ronaldo tends to keep the details regarding his children under wraps, it is thought that his pair of twins were brought into the world through surrogacy. He is currently in a relationship with Spanish model Georgina Rodríguez and those two also have a child together. Cristiano also has a son, but due to an arranged agreement, the mom’s identity is kept secret. 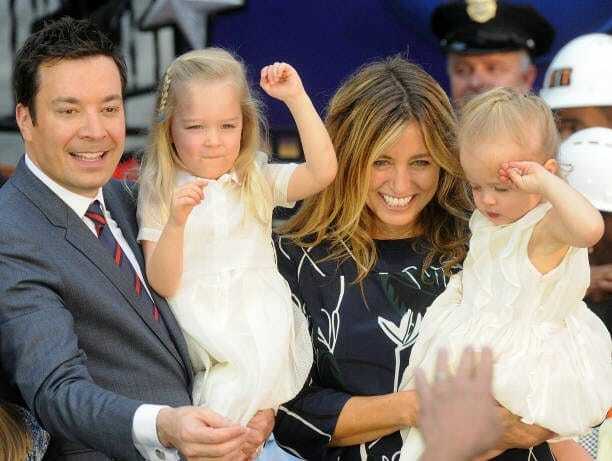 Late night host and funny man Jimmy Fallon tried to become a dad with wife Nancy Juvonen for over five years. The duo called this time awful and eventually asked for help. They experienced a lot of disappointment over the years, but their surrogate journey was a successful one as their first daughter, Winnie Rose, was born in 2013, followed by their second daughter, Frances Cole, in 2014. It is truly amazing how a dream can come true thanks to modern technology. Nate Berkus came to fame through his connection to none other than Oprah Winfrey. The interior designer was able to influence so many homes thanks to the talk show host. His husband, Jeremiah, is also an interior designer. The couple welcomed their first child, daughter Poppy, in March of 2015, and their son, Oskar, in March of 2018. Now that is one beautiful family! Nate loves to share the children’s habits and growth on social media, and we sure do love to see it! 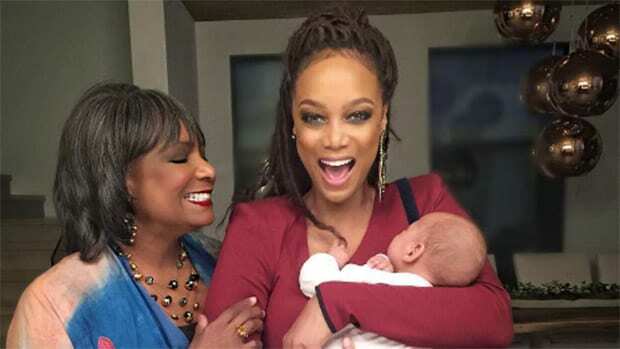 Model, actress, and ANTM host, Tyra Banks, surprised the world when she welcomed her son York via gestational surrogate. Tyra and her boyfriend, Erik Asla tried conceiving for a long time to no avail. They decided to take the surrogate route as a last resort and were gifted with their son soon after. 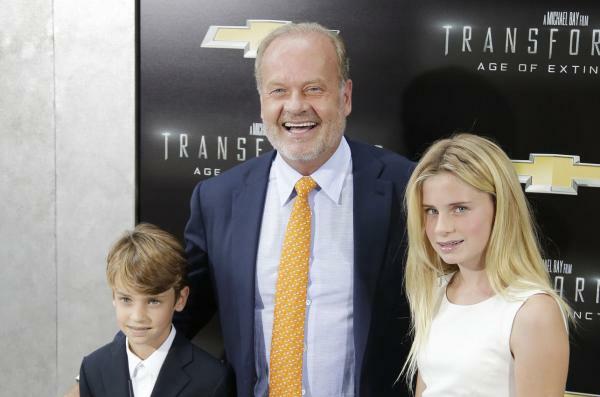 Kelsey, also known as Frasier, has been married four times. 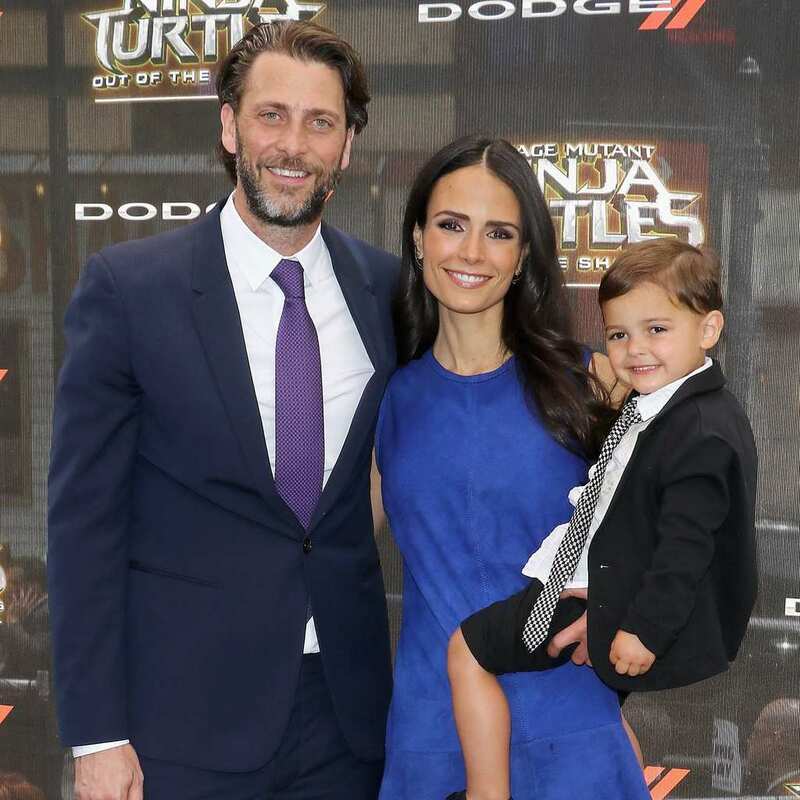 It was his third marriage to Camille, however, that he opted to use a surrogate and the couple welcomed their two children – Jude Gordon and Mason Olivia, in 2001 and 2004 respectively. Kelsey has a total of seven children from his marriages, three of whom are from his latest marriage to Kayte Walsh. Let’s hope this one sticks; Kelsey allegedly has a tendency to end his relationships abruptly. Dylan is known for two things, being the daughter of fashion designer Ralph Lauren, and her wildly successful sweets shop – Dylan’s Candy Bar. In June 2011, Dylan married her longtime beau Paul Arrouet. 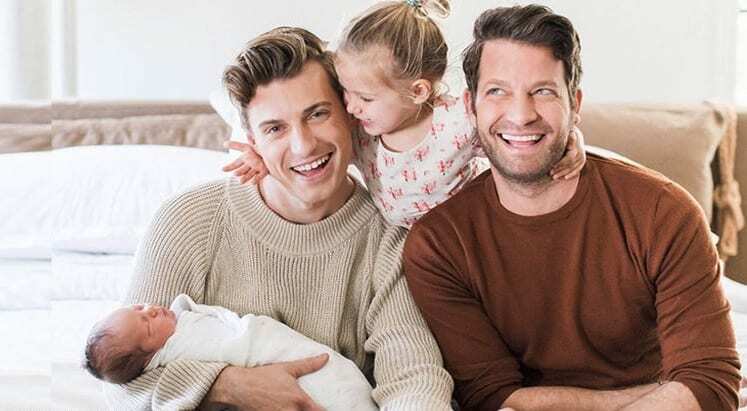 The couple did not reveal the reason why they chose to use a surrogate, but used one indeed, excitedly welcoming fraternal twins, Cooper Blue and Kingsley Rainbow Arrouet, in April of 2015. Prior to her children being born, Dylan said she had never held a baby before. The late Michael Jackson was one of the world’s most successful and controversial musicians of all time. During his life, he fathered three children, two with former wife Debbie Rowe, and one via surrogate. The eldest children, Prince and Paris were born in 1997 and 1998, respectively. The little one, Blanket, was born in 2002. The surrogate was never named and the entire process is rife with mystery. The children honor their father every year in a memorial ceremony and are very close to their dad’s side of the family. Now here’s an interesting story with a surprising twist. Shayne Lamas, the winner of The Bachelor season 12 and the daughter of actor Lorenzo Lamas, is married to Nik Richie. The two welcomed their daughter Press Dahl Lamas-Richie in 2011 naturally and easily. When it came time to have another child, the two had trouble conceiving and Shayne sadly suffered a miscarriage. In 2015, Shayne and her husband welcomed their son Lyon Lamas-Richie via surrogacy. The surrogate, you ask? Shayne’s stepmother. We did say there was a twist, didn’t we? 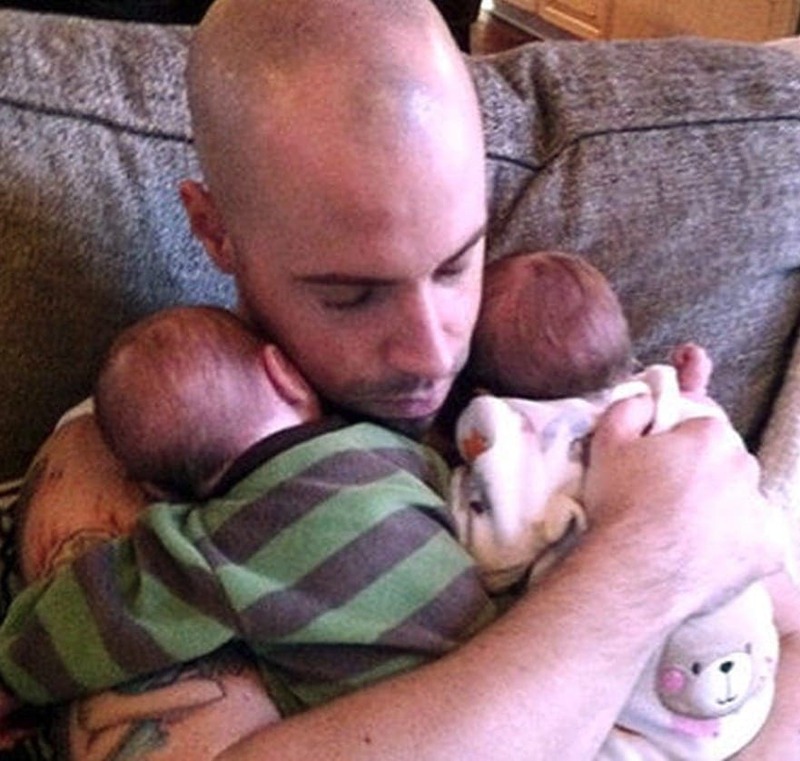 Though Chris Daughtry and his wife, Deanna, already had children, they decided they wanted to expand their family more and in 2010, they welcome a set of beautiful, healthy twins into the world. The two, who married in 2000, were unable to conceive children naturally at the time because Deanna had a partial hysterectomy and therefore could no longer carry a child. The family decided to use IVF to plant an embryo into a surrogate and then, nine months later, their little angels were born. 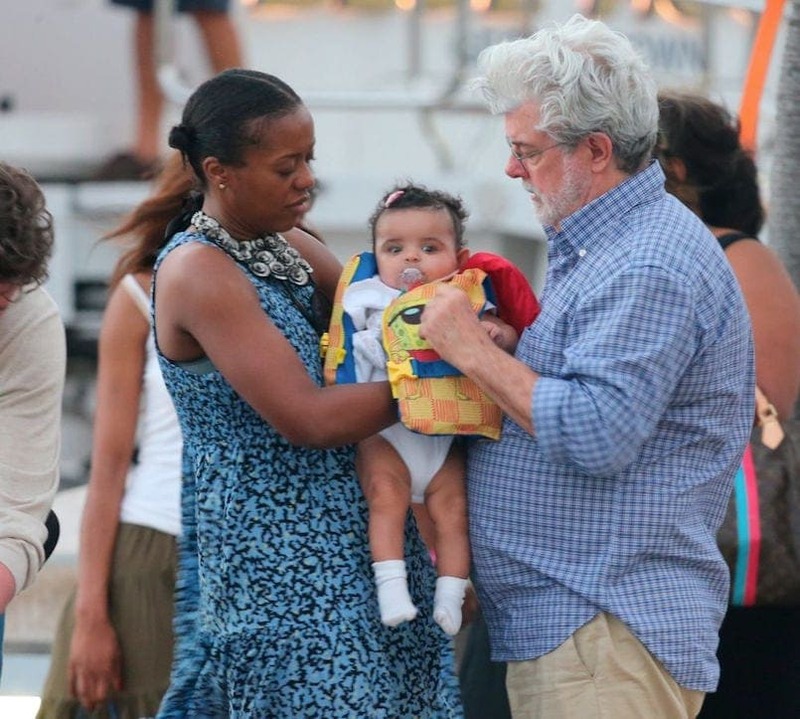 Known for being the filmmaker that brought us Star Wars and Indiana Jones, George Lucas is also a family man. In 2013, he and his wife, businesswoman Mellody Hobson, welcome a baby girl into their family through surrogacy. While Lucas has three adopted children and was married before, this is the first biological child for the couple. We can only imagine how she will feel when she grows up and realizes her dad is kind of a huge deal. We sure hope that Robert De Niro is not as intense of a father in real life as he is in Meet the Parents (and the two sequels). We’re sure he just as loving and protective, but maybe a little less overbearing toward his six children. 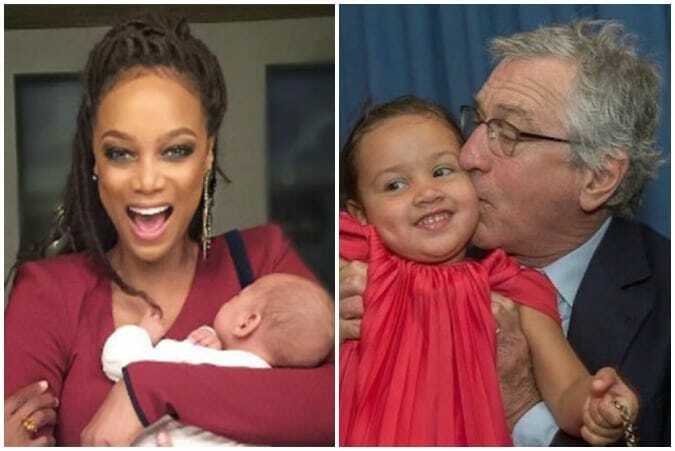 His twins, Aaron Kendrick and Julian Henry, were born in 1995 via surrogacy with his longtime girlfriend – model Toukie Smith – and he had another child named Helen Grace in 2011 through surrogacy with current wife, actress Grace Hightower. You might recognize her for her hilarious Youtube videos, including the famous cinnamon challenge. 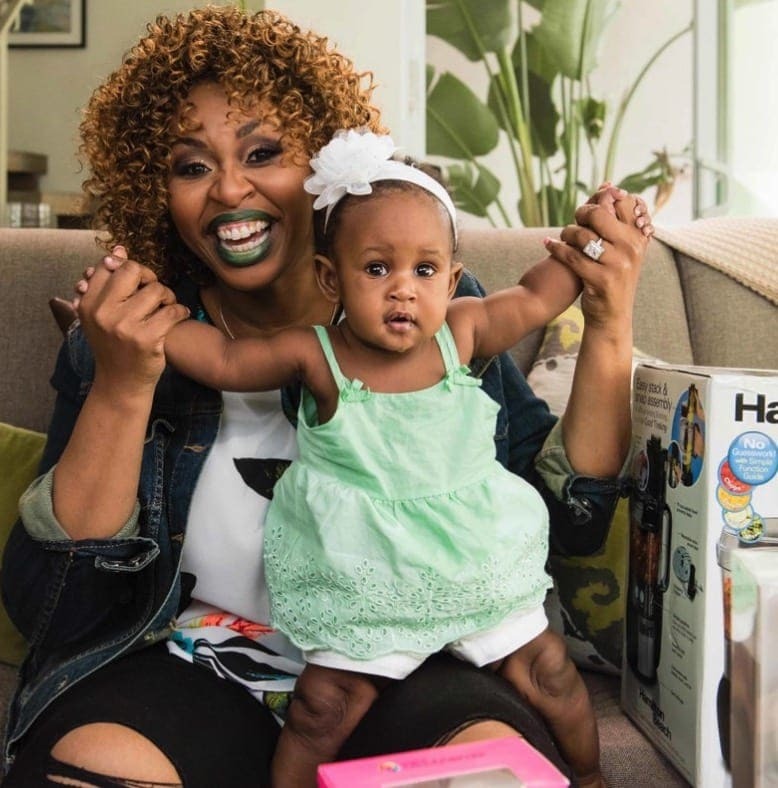 GloZell has become incredibly well-known as a personality that keeps us laughing. She is a rapper, comedian, and Youtube sensation. She is also a loving mother. In 2016, after years of hoping, she welcomed a beautiful baby girl into her life with her manager husband, Kevin Simon. The couple were overjoyed and extremely thankful to the surrogate who brought them a daughter. Joan Lunden is a well-known journalist due to her work with Good Morning America and NBC’s Today. She has seven children from her two marriages and four of them were born thanks to the help of a surrogate mother. After marryingJeff Konigsberg in 2000, the two have brought two sets of twins into the world via surrogacy. Lunden has since become a huge supporter and advocate for these types of pregnancies and is thankful for all of her precious children. Cindy Margolis is the blonde bombshell who took the world by storm as a glamour spokesmodel. She’s most known for her work with Rebok, Coors, Hanes, and Sunkist, but was also featured in Austin Powers: International Man of Mystery. She also had her own talk show for a bit. Margolis was married to her now-ex husband, restaurateur Guy Starkman, from 1998 until 2009 and they have three children together. The first child was born via in-vitro fertility treatments and their twins were born in 2005 thanks to a surrogate mother. Cheryl Tiegs is often known as being the first American supermodel and has been featured on the covers of Sports Illustrated Swimsuit Issue and TIME magazines – she’s also appeared on the covers of Vogue, Seventeen, and Elle. The model has been married four times, and has children with two of her former husbands, Another Peck (son of Gregory Peck) and yoga instructor Rod Stryker. Her and Stryker had twin sons together born via a surrogate mother. Stryker and Tiegs divorced in 2001. Best known thanks to her character of Phyllis Summers on the soap opera The Young and the Restless, Michelle Stafford is an award-winning actress, screenwriter, and producer. She is currently starring on the long running soap General Hospital and plays the character Nina Reeves. Stafford, a single mom, has welcomed two children and at least one of them is known to have been born via surrogacy, her daughter Natalia in 2009. Her son Jameson was born in 2015. Taylor Dayne started her singing career in the mid-’80s and quickly became a sensation – some even call her an overnight international star, which is what she became in 1987 with the release of her song Tell It to My Heart. She now has had a career that’s spanned over three decades and some of her songs like Can’t Get Enough Of Your Love are still stuck in our heads.Dayne never married, but did welcome twins into the world in 2002 via surrogate. Most known for her time on The Real Housewives of Beverly Hills, Adrienne Maloof was married to Botched plastic surgeon Paul Nassif from from 2002 until 2012. 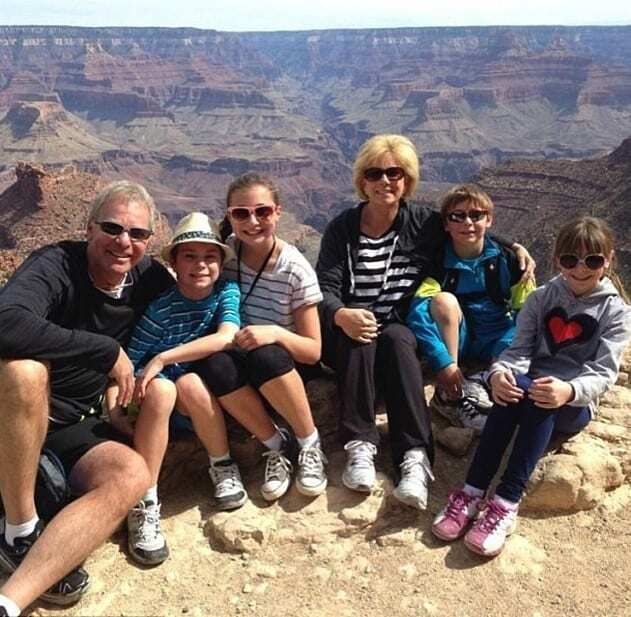 The former couple have three sons together, including a set of twins. After one of the other housewives revealed Maloof’s secret that she used a surrogate for the twins, she was furious because the boys didn’t know yet – the scene was edited out, but Maloof later announced it publicly. Soap opera superstar Deidre Hall is definitely best known for her portrayal of Dr. Marlena Evans on Days of Our Lives. Hall has been married four times, but only has children with one of her husbands, author and screenwriter Steve Sohmer. The two were married from 1991 to 2006 and have two sons together, both were born with the help of a surrogate mother. There is not detailed information about the woman who carried the boys, but she is known as Robin B. 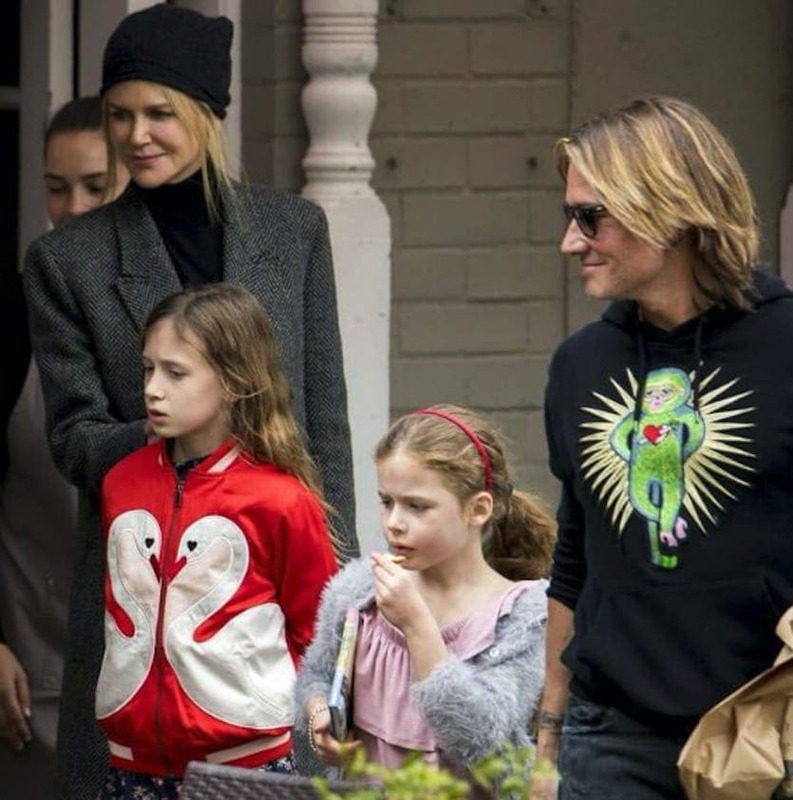 Renowned and talented actress Nicole Kidman, and beloved country crooner Keith Urban have been married since 2006. They welcomed their first daughter together in 2008, Sunday Rose. Sunday was carried and delivered naturally by Nicole. However, when the couple wanted to have another child, they decided to use a surrogate instead. Their second daughter, Faith, was born in 2010. Back in 2017, Nicole mentioned the fact that she was thinking about having more children. We shall see if there are more little ones in her future.